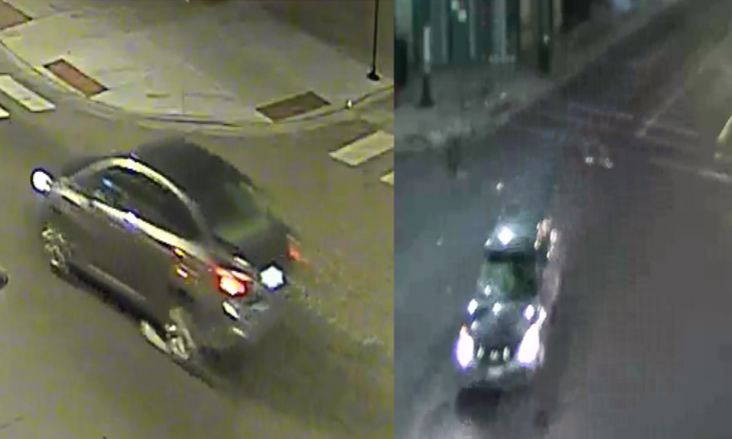 CHICAGO (WLS) -- A man who was dragged underneath a car for several blocks in a hit-and-run crash in the East Chatham Tuesday morning has died, Chicago police said. Police are now searching for two vehicles they believe were involved. The first car is a gray, 4-door Ford Focus. The second is a 4-door Nissan Altima with front-end damage and a broken windshield. Prior to the crash, police said the sedan was traveling northbound on Cottage Grove Avenue before hitting the victim and traveling eastbound on 79th Street with the man's body trapped underneath the car until it reached 79th Street and Dobson Avenue, about seven blocks. He was pronounced dead on the scene. Authorities have not released his identity, though he was well known in the neighborhood. Neighbors said he made a living by selling loose cigarettes and don't understand why the driver didn't stop. "This is my route, 79th Street. So I see him every day. Every day. He was out every day just enjoying life, riding his bike," one neighbor said. "You don't stop? But there's plenty of cameras. Whoever did it, they will be caught," said Leonettsi Hardy. Chicago Police Major Accidents Division and Area South Detectives are investigating.